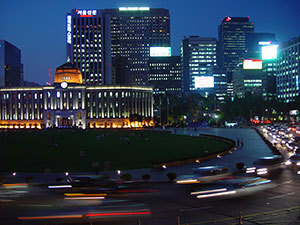 Notre Dame and Yonsei University in Seoul, South Korea, will begin a bilateral exchange program in the spring 2014 semester. Open to undergraduates in all majors, the program does not require knowledge of the Korean language, since its courses will be taught in English. Available courses will include Korean language, Korean studies, business and economics, politics, sociology, engineering, sciences and human ecology. Notre Dame and the Polytechnic Institute of Valencia in Alcoy, Spain, will begin a bilateral exchange program in spring 2014. Designed for sophomore or junior engineering majors, particularly those in chemical, electrical and computer science engineering, the program will be offered to students who have completed at least two semesters of college-level Spanish or the equivalent. Originally published by Michael O. Garvey at news.nd.edu on May 15, 2013.